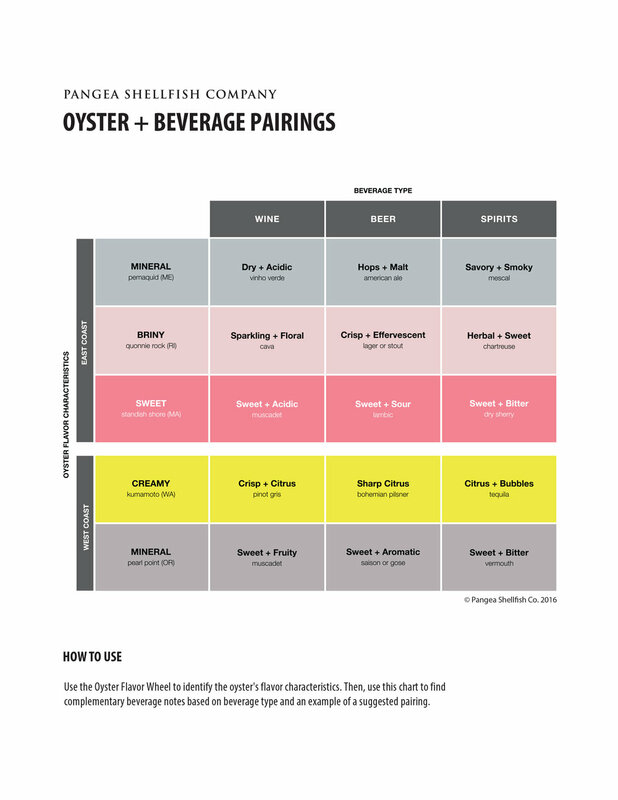 Presenting the culmination of our year-long investigation into alcohol and oyster pairings. Please feel free to click here for the downloadable version to use for your next tasting event or menu change. For further information on how we created the chart, visit our blog. If you have any questions or suggestions, please feel free to contact us, as this is a work in progress. FAIR AND NON-COMMERCIAL USE ALLOWED WITH PROPER CREDIT AND ATTRIBUTION. PERMISSION REQUIRED FOR ANY CHANGES OR OTHER TYPES OF USE.